In this tutorial, we will see how to install Nginx and PHP-FPM and Mysql on Mac and setup these environment to develop application using these technologies. We will make configuration related to sites enabled and sites available for virtual host using Nginx and make use of it to serve html and php page. Nginx is a high performance web server which is also used as a reverse proxy and load balancer.Similarly, Mysql provides persistent storage and PHP is a server side scripting language that can be used to create dynamic and interactive web pages.Combining these 3 technology stacks makes LEMP stack and let&apos;s setup this stack today. Mac provides a beautiful package manager called Homebrew that provides easy installation of software on MacOS. It is a tool similar to apt in linux system. It is always recommended to install any softwares with brew command to avoid permission related issues and it also makes installation and un-installation fairly simple.Check if it already installed first using following command. In case it is not installed use following command to install it first. You can use following command to update it if it is already installed. To install PHP execute following commands in the terminal. The first two command register PHP repository and the last command installs it. It will take couple of minutes to complete the installation process.In the terminal you can find all the configuration location and instructions. All the files and folder and related to this installation will be available in the location .To start the server you can use sudo brew services start nginx. The default port on which it is running is 8080. We will change these configuration to some other port as our tomcat might be running at 8080. Create a custom index.html file inside /Users/b0202781/Documents/work/workspace/www and reload the nginx using brew services reload nginx.Now invoking curl command curl -IL http://127.0.0.1:8080 should load your custom html page. The folders of interest here are conf.d, sites-available, sites-enabled and we have our configurations in nginx.conf. We have corresponding configuration files present inside sites-available and sites-enabled and we have include these configuration inside nginx.conf file. In the sites enabled folder we have a configuration file - default that has configuration PHP. But before that we will tell Nginx about our PHP-FPM configuration. 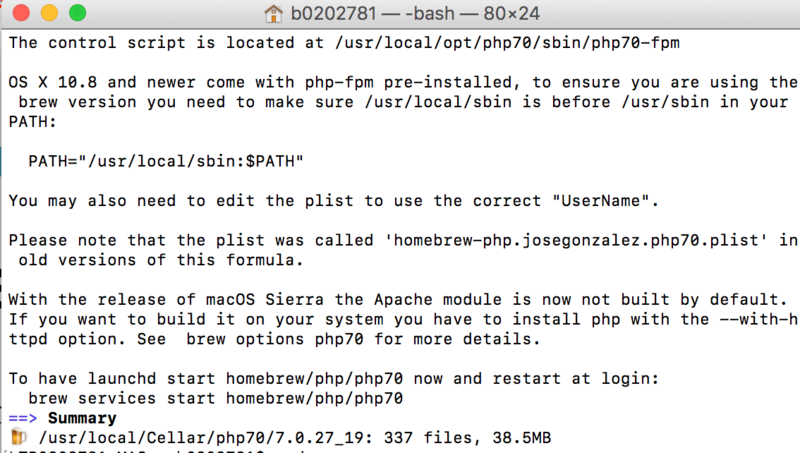 While installing PHP-FPM through brew, the default port where PHP-FPM runs is 9000 and the same need to be configured as follow.php-fpm file is inside conf.d directory. 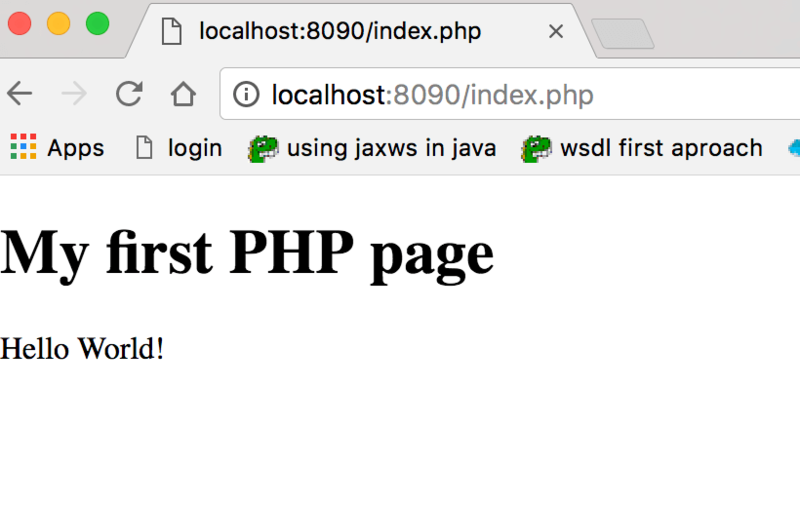 Once these configurations are done reload the Nginx configuration using - brew services reload nginx and hit the url - localhost:8090/info to check if php is configured correctly.